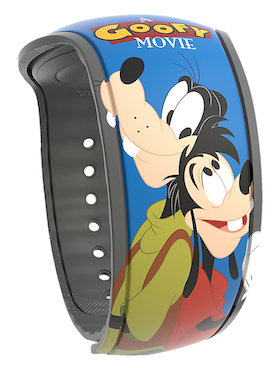 A Goofy Movie now has its own Limited Release graphic MagicBand. 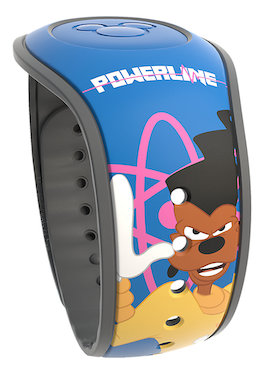 It features the characters of Goofy, Max Goof, and Powerline. This band can be found throughout Walt Disney World widely on April 8th, 2019, but some have leaked out early. The cost is $29.99 and the barcode SKU is 400021255838.